Jalan Petaling Famous Malaysian Street Food (“JP”) in Serangoon Garden is another culinary showcase by Long Jiang Culinary. JP is inspired by the famous Petaling Street, popular for its food heaven and shopping in Kuala Lumpur, Malaysia. 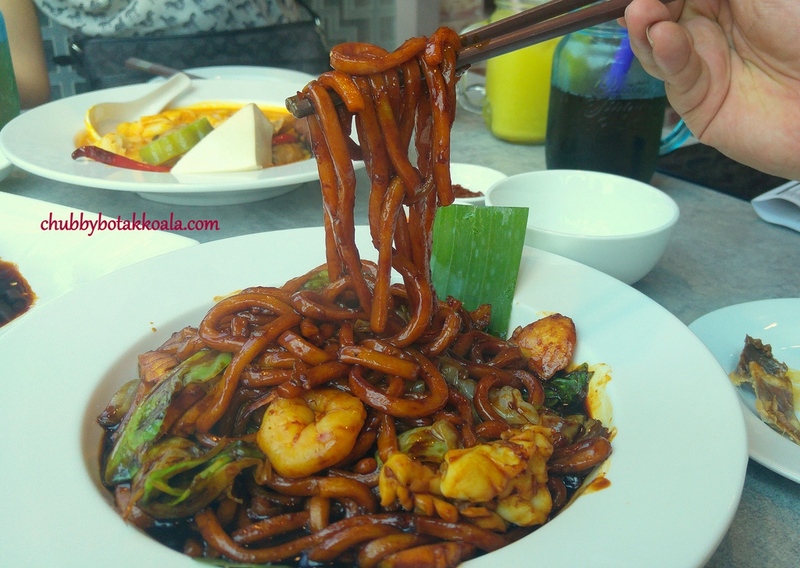 A must try here, of course, their KL Seafood Hokkien Mee ($8.80). A signature dish of Jalan Petaling in Kuala Lumpur. The version here definitely comparable to the famous joint in KL. The unique thick yellow noodle absorbs the sweet, thick dark soya sauce gravy. 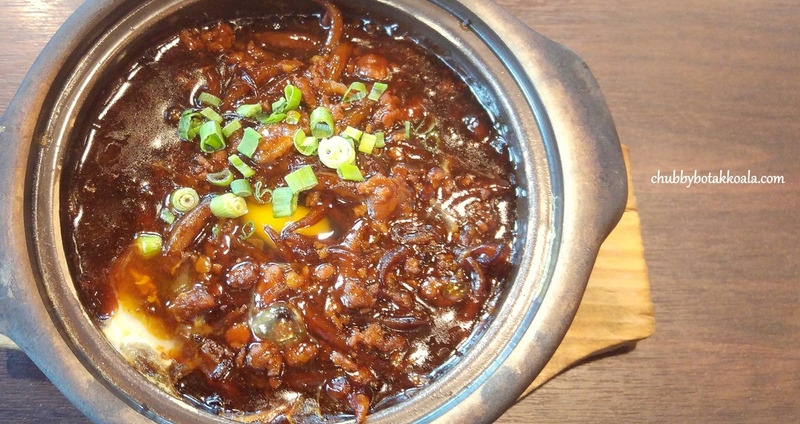 You can taste the “Wok Hei” plus a generous portion of crispy and fragrant pork lard gave a nice burst flavour between bites. The seafood is fresh, complement the noodle nicely. Claypot Stir-Fried Silver Noodle (Mee Tai Mak- $6.80). 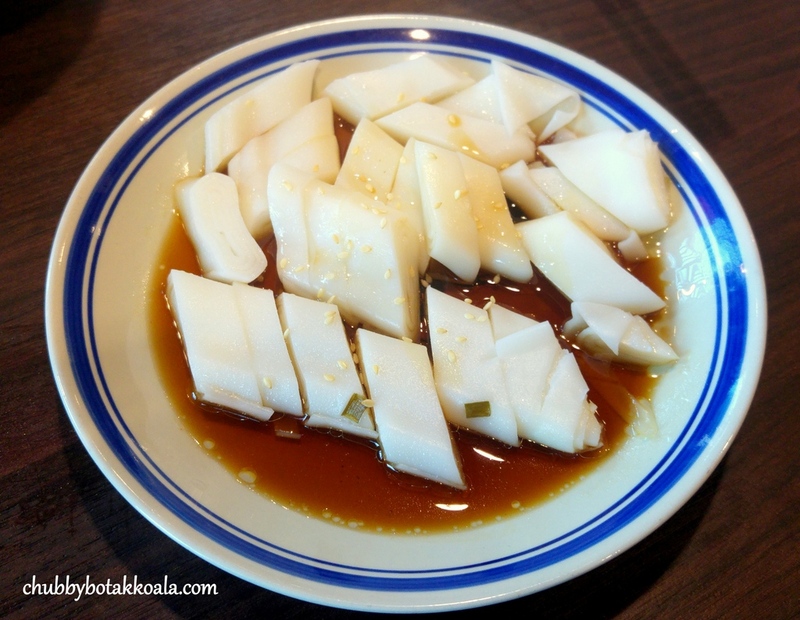 One of the most common dish found in “Chee Cheong Kai”, a popular nickname of Jalan Petaling given by the local. The Mee Tai Mak, cook in the similar dark gravy and served with a raw egg. The raw egg added the smooth silkiness in this dish. I find this dish a little too sweet and the Mee Tai Mak feels slightly mushy to my liking. I like it when the silver noodle is harder as it got more bits to it. 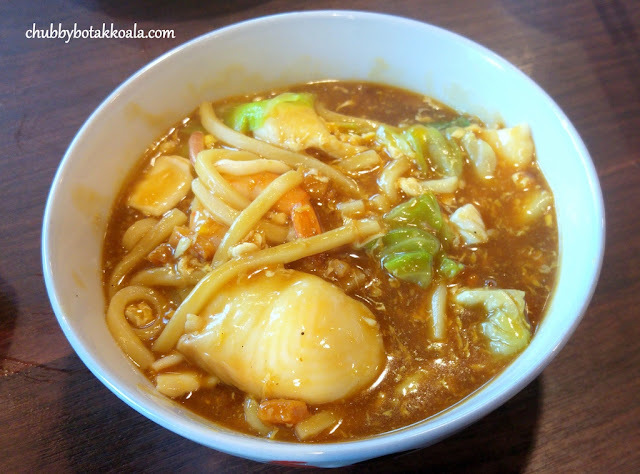 Seafood Lor Mee ($8.80). 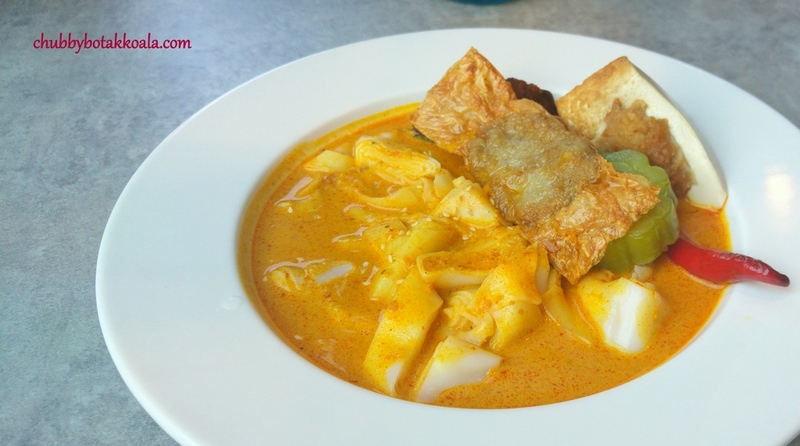 A dish that I was particularly fond of during my frequent visits to a Malaysian restaurant in Clayton, Victoria. I loved this dish because of the thick, silky robust broth that is filled with egg. 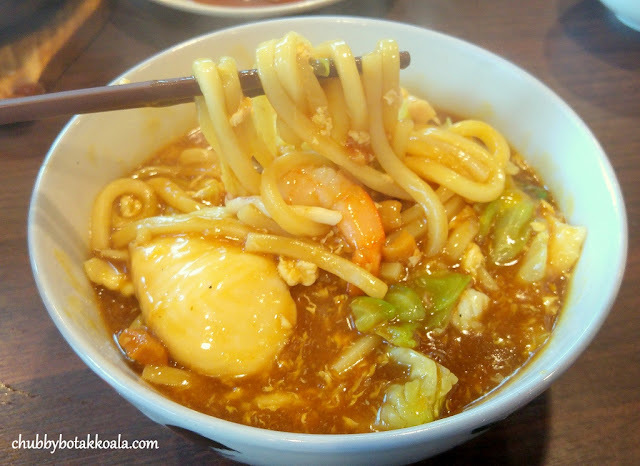 In JP, the noodle used is the same as the KL Hokkien Mee. The broth is tasty but a bit more diluted and missing the OMPH. I know it is not fair to compare, however, I prefer a thick gooey Lor Mee style gravy and more punch in it. Steamed Rice Roll with Yong Tofu and Curry Gravy ($6.80). The rice roll served in different ways, but the one with curry and yong tofu seems to be the more appetizing. Nothing much to say about the rice roll as it is factory made, while the curry is spicy and aromatic. Not a lot of coconut milk is used in the curry, as it has a lighter texture. The yong tofu are homemade with a good bounce and it is delicious. JP used minced pork and salted fish fillings, instead of the regular fish fillings. The Yong Tofu also served per piece at $1 each. 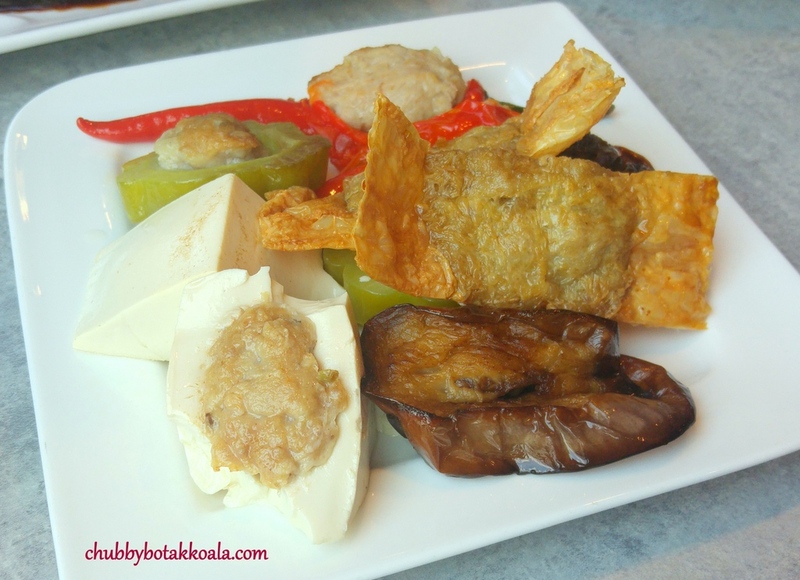 You can choose from Stuffed beancurd, Stuffed Eggplant, Stuffed Bitter Gourd, Stuffed Chilli, Stuffed Beancurd Skin. During our multiple visits, we found that Hakka Soy Sauce Chicken (SGD $16 Half, $30 Whole) is highly recommended. The braising sauce is robust and aromatic, while the chicken is braised just nice. The skin of the chicken is silky, smooth and springy. The meat is just succulent even for the breast part. At the cuts closer to the bone you can see some trace of blood. This is common and it shows that the chicken is cooked just right. The braising sauce is also a perfect companion for the white rice. Yum Yum. 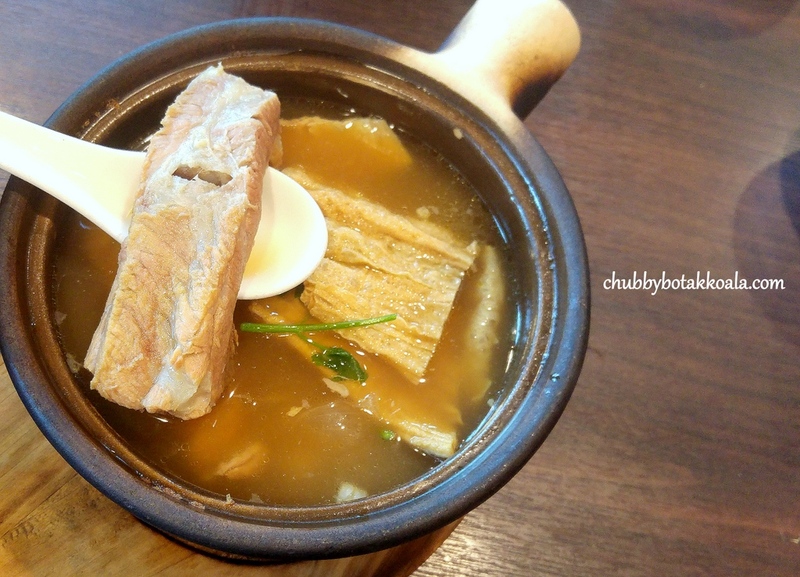 The Bak Kut Teh ($8) here is definitely the JB style. Herbal with a slight hint of pepper. The pork ribs are on the thinner side or less fat, resulting some of them tasted dry. 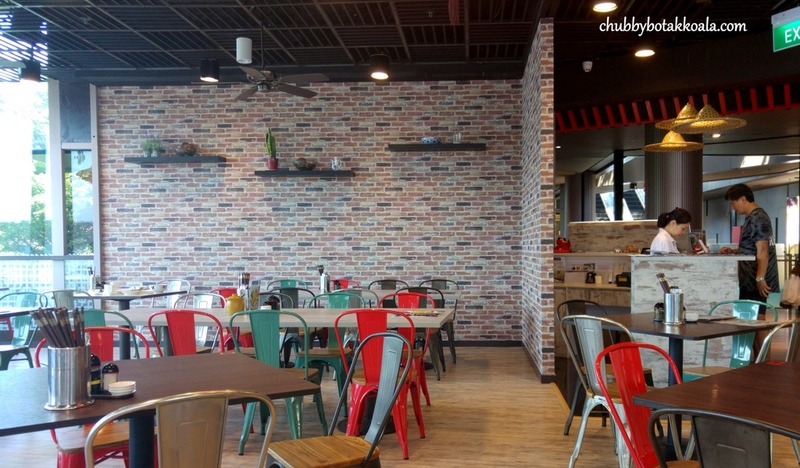 Located on the second floor of myVillage, the restaurant is filled with lots of natural light and nice outdoor scenery. The décor simple, following the current trend of industrial vibe. Service is a combination of self-service with the sauce and chillies, plates and cutleries while there are always service staff to take and serve your orders. 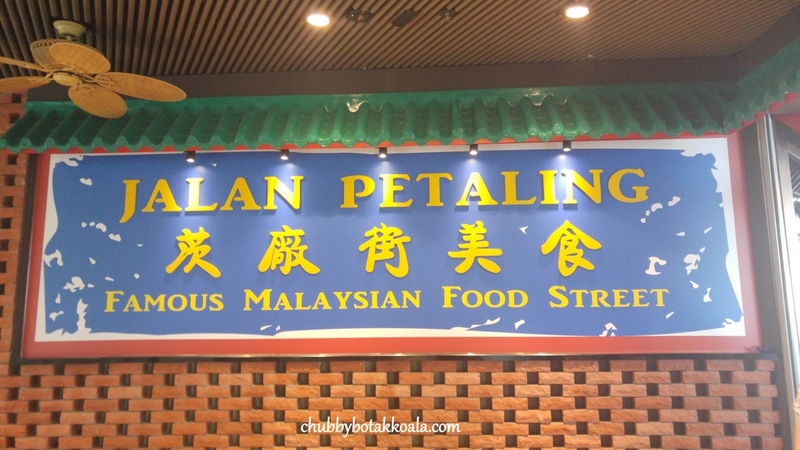 Overall, Jalan Petaling is definitely a place worth a visit. LD and I have returned here several times and the food is easily likeable. Their signature KL Hokkien Mee and Hakka Soy Sauce Chicken are definitely on top of my recommendation. Cheers! !